Why is Saint Benedict so important for us today? Why spend so much energy trying to promote his cause and to recall his influence upon civilization? One answer is: “The kingdom of heaven is at hand.” You may want to read “Translating St Benedict” by Dom Hugh of Douai Abbey (UK) who does a fine job at locating a piece of our interest. I also think it’s a good day to remember that Europe –and the USA– needs its heavenly patron to get it out of the moral, political and human confusion that is wreaking havoc today. I wonder what life in the USA would be like if we had a “new” Benedict? 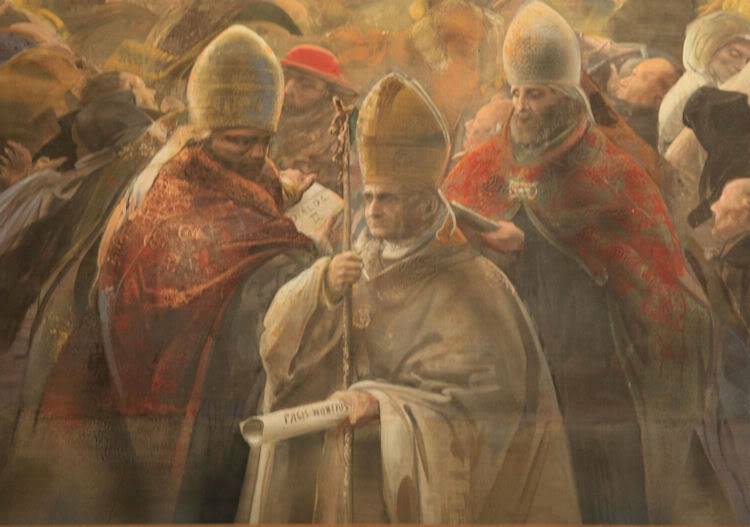 The Servant of God Pope Paul VI wrote Pacis Nuntius (1964), an Apostolic Letter by which he names Saint Benedict as the principle patron of all of Europe. In this document we read in an abbreviated form why Abbot and Saint Benedict was important not only to the Pope, but to a continent. 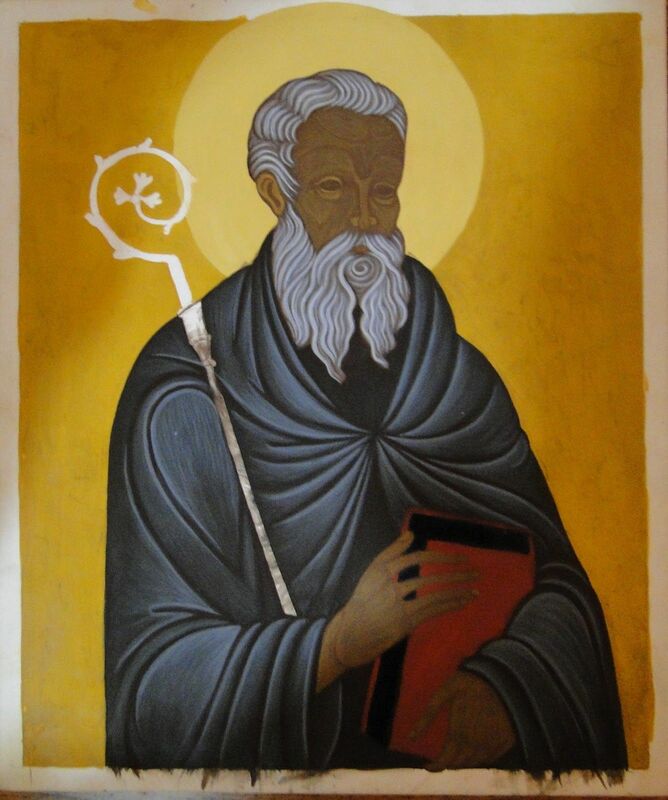 Messenger of peace, molder of union, magister of civilization, and above all herald of the religion of Christ and founder of monastic life in the West: these are the proper titles of exaltation given to St. Benedict, Abbot. At the fall of the crumbling Roman Empire, while some regions of Europe seemed to have fallen into darkness and others remained as yet devoid of civilization and spiritual values, he it was who, by constant and assiduous effort, brought to birth the dawn of a new era. It was principally he and his sons, who with the cross, the book and the plow, carried Christian progress to scattered peoples from the Mediterranean to Scandinavia, from Ireland to the plains of Poland (Cf. AAS 39 (1947), p. 453). With the cross; that is, with the law of Christ, he lent consistency and growth to the ordering of public and private life. To this end, it should be remembered that he taught humanity the primacy of divine worship through the “opus Dei”, i.e. through liturgical and ritual prayer. Thus it was that he cemented that spiritual unity in Europe, whereby peoples divided on the level of language, ethnicity and culture felt they constituted the one people of God; a unity that, thanks to the constant efforts of those monks who followed so illustrious a teacher, became the distinctive hallmark of the Middle Ages. Today is the Feast of Saint Benedict! 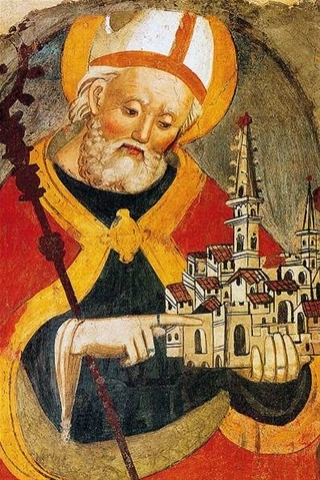 It was originally the feast of the translation of his relics, but after Monte Cassino was bombed they discovered that his relics were evidently never translated! Pope Paul changed it to the feast of Saint Benedict Patron of Europe. One of the most sensible things he ever did. The perduring gift to the Church is the Rule of Saint Benedict. It is a beautiful compilation of how to live together seeking the face of God. One part on humility is worth noting. Benedict’s teaching on humility is here. A short review of the importance of Saint Benedict and Benedictines in the life of Communion and Liberation is here. Blessed feast of Saint Benedict. Detail – Glory of the New Born Christ in presence of God Father and the Holy Spirit (Annakirche, Vienna). Adam and Eve are represented below Jesus Christ Ceiling painting made by Daniel Gran (1694-1757). Father, you revealed in Benedict your desire to live and die in grace that transcends all earthly cares; listen to our supplications as we strive toward salvation. 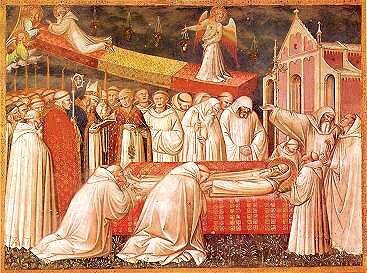 Benedict, blessed in name and grace, lived a holy life; may we follow worthily in his footsteps by praying and working to glorify you. Holy father Benedict, pray for us. Benedict, desiring to please you alone, left home and patrimony to found his religious family; may we live in peace in his family to add luster to your monastic way of life. Benedict withdrew from the world, knowingly unacquainted with its ways, and wisely unlearned in its wisdom; may we learn your wisdom, and guide our actions by it. Benedict, filled with the spirit of all the just, left us a rule of life in Christ; may we remain faithful to his teaching and come to prefer nothing whatsoever to Christ. Benedict, the patron of a happy death, showed us how to live in order to die in you; may he obtain this reward from you for each of us. Almighty and everlasting God, You freed the man of God, Benedict, from the prison of the flesh and bore him up to heaven to enjoy the vision of Your glory. Grant us, through his merits, the spirit of penance, forgiveness of our sins, so that we may one day share the joys of eternal life with him and all the saints. We ask this through Christ our Lord. Amen.